Modified Slump Cone for SCC Passing Ability Test - Gilson Co.
HM-43 Modified Slump Cone for SCC Passing Ability Test is used both with and without the HM-42 J-Ring in determining the ability of Self-Consolidating Concrete (SCC) to flow under its own weight. Made of sturdy metal with foot tabs removed, the modified slump cone is inserted into the J-Ring, filled with concrete and tested first for J-Ring flow. The Slump Cone is then used in a second test without the J-Ring to obtain Slump Flow. The difference in flow diameters between the two tests is recorded as the concrete’s passing ability. 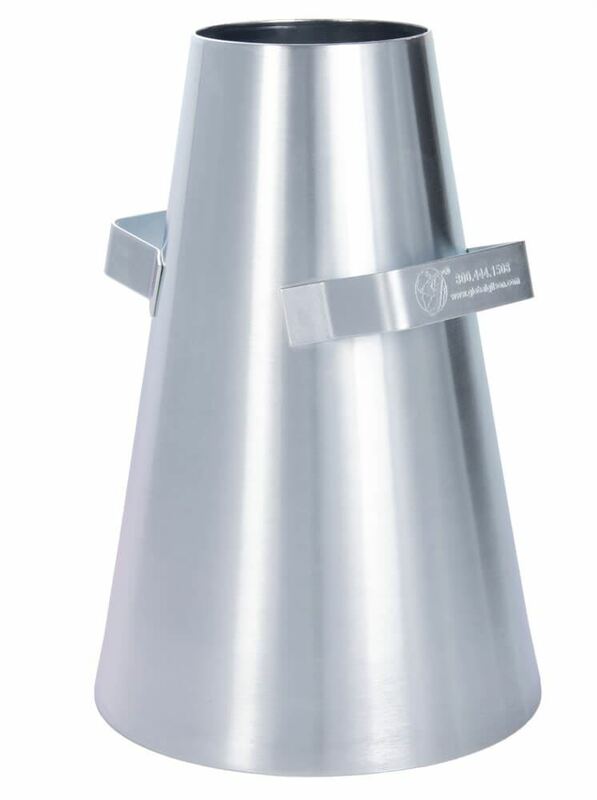 The Modified Slump Cone is available individually or as an included component of the HM-55 SCC Passing Ability Set for J-Ring Test. 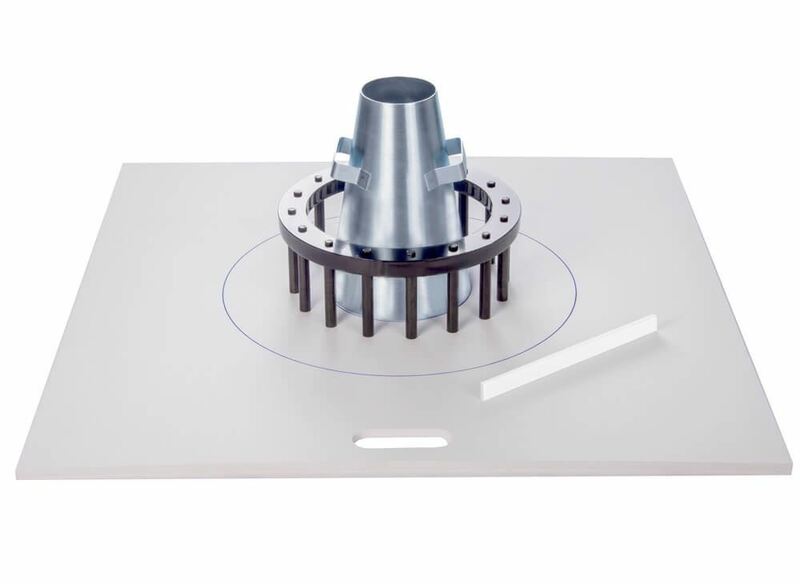 This conical-shaped product is 12in (304mm) high, with an 8in (203mm) base diameter and 4in (102mm) top opening.